Goldilocks is no stranger when it comes to bringing magic, joy, and wonder to people’s hearts. Indeed, after 50 Golden Years of being the country’s number one bakeshop, it has become almost second nature to associate this well-loved brand with special occasions, celebrations, and fond memories. Needless to say, sweet and delightful moments become more meaningful when they are shared. Accordingly, Goldilocks (through its Corporate Social Responsibility arm Goldilocks Foundation) organized a spectacular and fun-filled event for approximately 100 children from Baseco, Tondo, and allowed them to enjoy a day like no other. 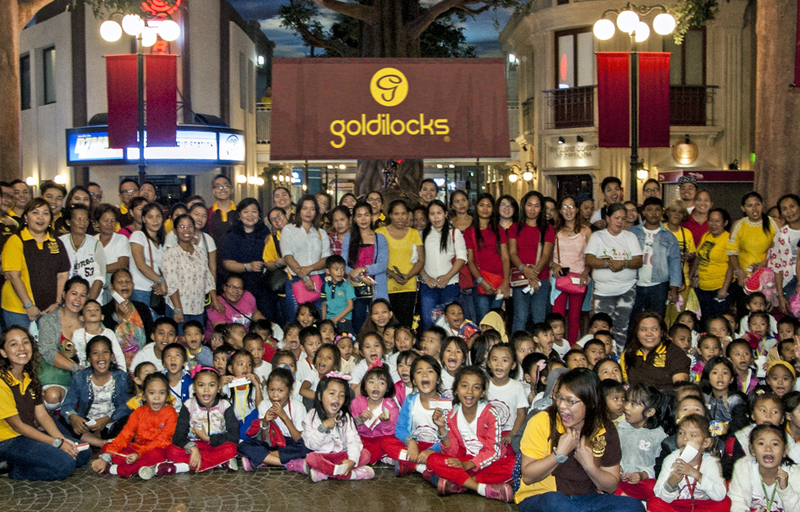 In collaboration with Caritas Manila, the Goldilocks Foundation recently took over Kidzania Manila in Fort Bonifacio, for kids aged 5-6 and their guardians. “It’s always a bit challenging when you mobilize this many children and you bring them to a different location,” explained Goldilocks Marketing Director Cherry Caluya. “but seeing the pure joy and excitement of the kids – not to mention the beaming smiles on their faces – made it a thousand times worth the effort. This is what Goldilocks is about,” she added. It was truly a fun and educational experience for all the participants. Once inside Kidzania Manila, everyone was welcomed with a dance number performed by the Kidzania mascot, joined by a few Goldilocks pastry chefs. After a short message delivered by Caluya, the kids had a once in a lifetime experience to explore and try out different professions at the different “learning stations” at Kidzania. The children had a blast pretending to be farmers, ice cream makers, doctors, cake decorators, and many more.